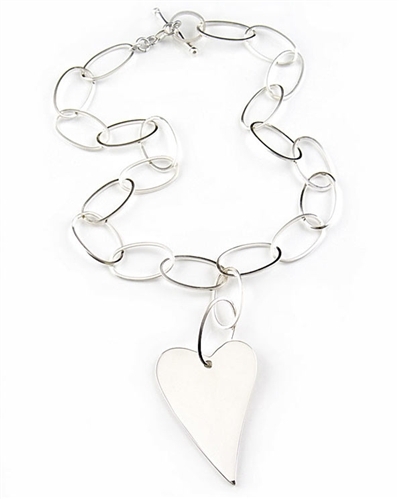 Sterling Silver Heart pendant necklace by Argento Vivo. Necklace has a large Hi-polished sterling silver heart on a oval link chain. A special piece that can be used to accessorize your entire wardrobe. Also makes a great gift. Chain: 39.5 cm / 15.6"
Heart measures: 3 x 4cm / 1.2" x 1.6"